The commission was tasked with studying a laundry list of issues, including age restrictions for certain firearms purchases. 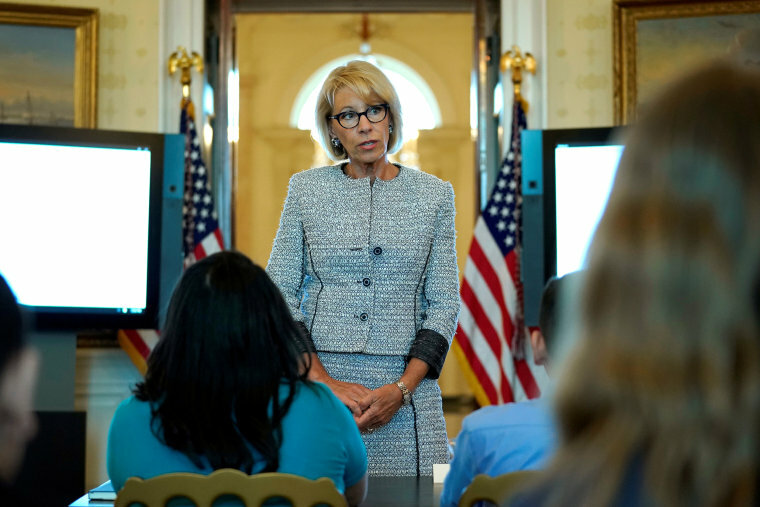 The commission, chaired by DeVos, has been tasked with studying issues from age restrictions for certain firearm purchases and rating systems for violent entertainment to Obama-era guidance on discipline in schools. It has met only twice: a formal organizational meeting on March 28 and a gathering of mass shooting survivors and their family members on May 17. She stressed that the "primary responsibility for the physical security of schools rests with states and local communities" — but she made no mention of overhauling firearms laws or gun control.